Skeletal pain is one of the hallmark symptoms of bone cancer, and distinguishing it from other causes can be difficult. Cancer cells invading bone usually emanate from cancer elsewhere in the body. When you think about the more than 200 bones that comprise the skeletal framework supporting your body, you probably envision them as sturdy, rigid, and unchanged. Actually, your bones are in a constant state of flux. Cells known as osteoclasts break down weakened portions of the bone, while cells called osteoblasts build new bone. As with any other cells in your body, these bone cells are susceptible to cancer. Trouble is, bone cancer symptoms can mimic those of other, more common conditions, including arthritis, fractures and other acute skeletal injuries, and benign bone tumors. Identifying whether your aches and pains are indicative of a nonmalignant skeletal condition or symptoms of bone cancer may potentially mean the difference between life and death. Osteosarcoma: Also known as osteogenic sarcoma, this most common primary bone cancer occurs most often in adolescents and people younger than age 30. 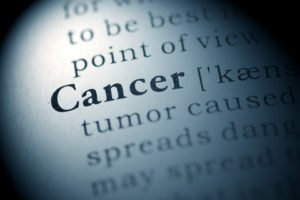 However, 60- and 70-year-olds account for about one in 10 osteosarcoma cases, according to the American Cancer Society. Osteosarcomas are more common in males, and usually form in the long bones of the body, in the arms and legs. Chondrosarcoma: This cancer, the second-most common primary bone cancer, affects the cells of cartilage, the tissue on the ends of bones that allows for fluid movement of the joints. The disease is most common in adults over 20, and the risk of chondrosarcoma increases with age. It affects women and men equally. Ewing sarcoma: Named after the doctor who first identified it, this primary bone cancer most commonly affects children and teenagers. Although the disease usually originates in the bones (especially the long bones of the arms and legs, as well as the pelvis, ribs, and shoulder blades), it may start in other tissues of the body. For the most part, symptoms of bone cancer are the same, regardless of whether the disease begins in the bone itself or elsewhere in the body. The most common symptom is pain in the affected bone. The pain may be intermittent at first, and it may worsen at night or when the bone is used (such as walking on a cancerous leg bone). Eventually, as the cancer grows, the pain may be constant. Some patients with bone cancer may develop swelling in and around the site of the pain, and may notice a palpable lump or growth at the tumor location. Tumors that form in the neck bones can grow to the extent that they cause swallowing or breathing difficulties. Tumors in the bones of the spine may compress the spinal cord and nerves exiting the spinal column, causing pain, numbness, tingling sensations, or weakness in the arms and legs. Left untreated, spinal cord compression can cause bladder or bowel dysfunction, or result in paralysis. Bone cancer, especially metastatic bone cancer, also weakens the structural integrity of the bone and may make it more susceptible to fracture. These fractures most often occur in the long bones of the arms and legs, as well as the spine. Fractures may result from traumatic injuries, such as a fall, or simply during activities of daily living. Signs of a cancer-related fracture include sharp, severe pain in an area that has been sore for weeks or months. It can be difficult to distinguish bone cancer symptoms from those of osteoporotic spinal compression fractures, low-back pain, arthritis, or acute injuries. More often than not, these noncancerous conditions are to blame. Nevertheless, if your symptoms persist, especially if they’re accompanied by unexplained weight loss and fatigue, see your physician. For information on bone cancer treatment options, check out Bone Cancer Treatment: Stopping the Spread of Sarcoma. Prostate, aches and pains, arthritis, back pain, blood cancers, bone, bone cancer, bone cancer symptoms, bone cancer treatment, bone marrow, bone tumors, breathing difficulties, cancer, cancer affects, cancer symptoms, cancer treatment, cancer treatment options, cancers, cartilage, children, leukemia, low back pain, metastatic bone cancer, multiple myeloma, pain, pains, primary bone cancer, sarcoma, severe pain, spinal column, symptoms of bone cancer, tumor, types of bone cancer, unexplained weight loss, your bones. I was diagnosed in June, 2013 with OSTEOARTHRITIS of the spine and both knees, symptoms started with severe back pain, joint swelling and stiffness in my knees and eventually the feeling spread to my shoulders and neck, i couldn’t lift my arm without pain medications. I was prescribed tramacet and arcoxia for 8 months but had to stop them due to bad effects. In 2017, I started on OSTEOARTHRITIS HERBAL FORMULA from RICH HERBS FOUNDATION, this natural herbal treatment reversed my osteoarthritis. Visit w w w. r i c h h e r b s f o u n d a t i o n. c o m. The treatment worked incredibly for my arthritis condition.